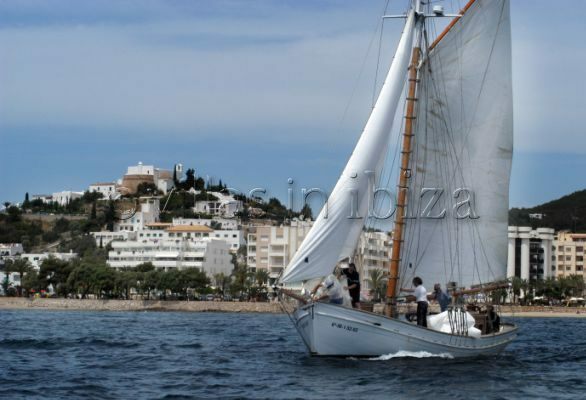 Whereas Ibiza town is known for its wild, pulsating nightlife, Santa Eulalia is a sophisticated conglomeration of culture, history, and beauty. Being only 21 kms from Ibiza airport, it is a beloved destination for families and those seeking a quieter holiday. The coastline of the town is crowned with a gleaming white and coral-coloured marble promenade, adorned with palm trees, and is strewn with a yacht marina, gourmet restaurants, miniature gardens, and exquisite café’s. 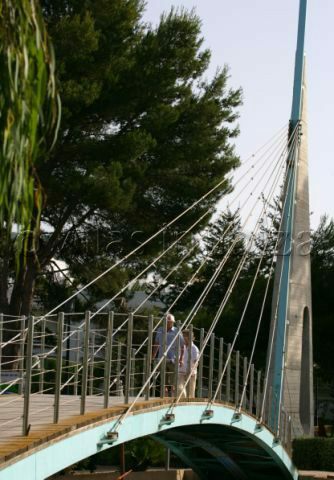 As the second biggest town on the island, Santa Eulalia has undergone an extensive amount of development in the last few years and it has improved greatly, with its recently refurbished marina, holding a large number of luxury yachts. A convention centre has recently opened catering for numerous events and plays. Another Highlight is the remodeling of the 1st cinema, Teatro España and a new bypass of the town centre that diverts traffic going to the north has brought more peace to the town. The gastronomic offer is also varied and you can find almost any type of restaurant. We encourage you to explore in the pedestrian 'Restaurant Street', along the sea front and beyond to find your favourite. During the day the beach is the place to be, there are a wide number of tempting beaches in the Santa Eulalia region, stretching from “Aguas Blancas” in the North East, down to Ibiza Town, check our beaches guide for more options. Alternatively, the town has a selection of Chic shops all around that will surely appeal to you. Keeping to the islands true form, the town has an old traditional church, sat on the hill called "Puig de Missa", seen from the road as you enter the town. As beautiful as it looks in daylight, nothing compares to the magnificent view at night, as both the church and hill are lit, providing a spectacular welcome. 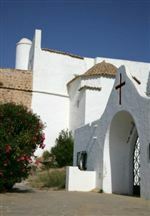 Right next to the church, if you would like to explore into Ibizan culture, why not make a visit to the Ethnographic Museum, and discover more about the traditions of this Island. Another focal point is the river walk, which meanders from Mariner’s beach to the Old Roman bridge. Nearby and recently built Fenicia Hotel and Spa, if you would like to indulge and pamper yourself during your Holiday. The great attraction in Santa Eulalia is the beach; a sprawling 300 metre long shore with clean and shallow waters which are safe for children and are very inviting for less confident swimmers. There are first-rate water sport facilities, activities include water skiing, sailing, banana boats, scuba diving and more. If you want to discover more on Water sport Activities on offer, you can visit Estacion Nautica office in the Marina. Having a deep rooting as a cultural centre, Santa Eulalia thrives on art galleries and haute couture shopping, with a sense of community. International food can be found at all main supermarkets and even a British shop, a German Butcher, Bakery and an oriental delicacies shop offeing a wide selection of products. As a way to beat the heat of the afternoon sun, shops tend to close for an afternoon siesta, or rather an extended lunch-break, but then stay open late into the night. The nightlife in Santa Eulalia is cool, busy, exciting and gorgeous. Who can think of a better way to spend an evening than topping off a great meal with homemade ice cream on the seafront? If that’s not to your taste, the town offers great evening entertainment and the place to be is The Guarana, an extravagant club that has a variety of music, from jazz and blues events to the trendiest DJs around. Or even venture out into Es Canar and visit Jacaranda Lounge for a treat. Santa Eulalia has something for everyone, whether it be a peaceful family holiday you’re looking for or a less-frenzied clubbing scene than that of Ibiza town or San Antonio, either way, you’re in for a treat with this special Ibiza Holiday resort. Santa Eulalia has all you need for a lovely holiday. An excellent sandy beach with lots of water sport facilities, a wonderful ice cream parlour close by, plenty of good restaurants through out the town, yachting marina, market stalls and plenty of shops for all your needs. There is an excellent road full of restaurants next road up from the High Street, please try the tapas restaurants.